Take a look at these fun and super easy DIY project. 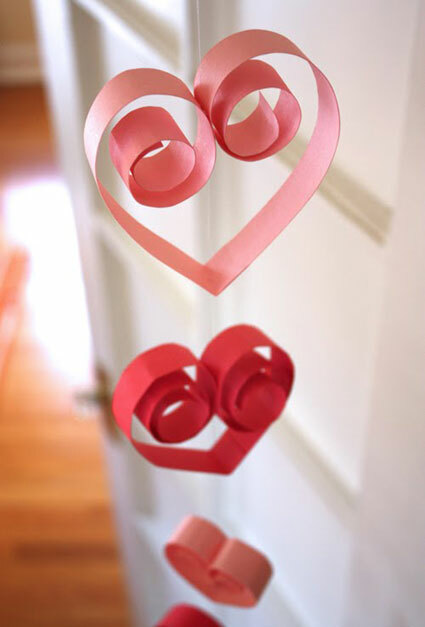 Some are perfect for Valentine's Day, but depending on the colors you use, they could be used for any time of the year! If you're tired of the regular old cupcake toppers, try this easy and adorable idea from Icing Designs. They took cupcake liners to create a paper flower - so pretty and creative! Next up is from the always fabulous, much adored Martha. Stewart, that is. I spotted this in my February edition of Martha Stewart Living, and squealed with delight. 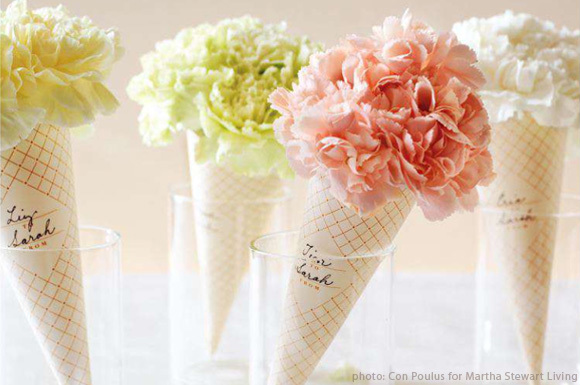 A carnation ice cream cone anyone? A side note...how the BLEEP do you think Martha comes up with all this stuff? Do you think her and her staff just sit around a big table with tons of paper, flowers, ribbon etc, and just put random things together until they look cute? Just curious. Now back to business....HERE is the template Martha used for the paper cones if you want to try them out yourself. Finally, this is really for Valentine's Day only, unless you are super into hearts all year round. That's cool too. I am obsessed with garland lately, and this garland does not disappoint. It comes from the super creative How About Orange. How cute! Yup, chocolate. 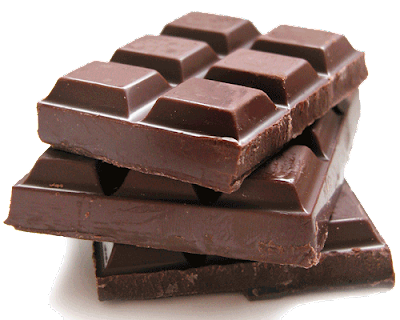 I am throwing my best friend Kalle a chocolate themed shower. Off to craft, bake and shop! Loving my life today. Have a great weekend! Love those cupcake toppers, so cute!